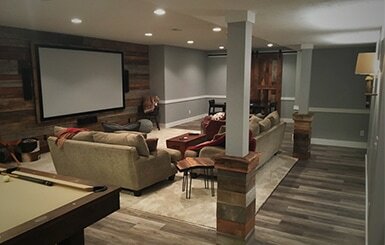 ​Turn that unused basement into enjoyable living! 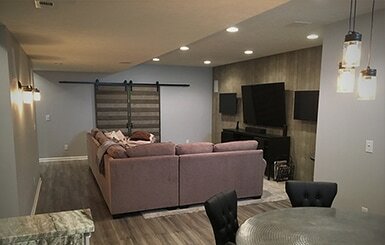 From design to construction, we can help you maximize your basement's potential. No matter the style or the current room layout, we can work with you to create a space that's functional, comfortable, and fits your needs. ​Whether it's a simple update or full scale kitchen remodel, our team will coordinate each part of the process to ensure a kitchen of your dreams. ​Looking to create more space? A new home addition not only adds more room for you to enjoy, but increases the home's overall value. 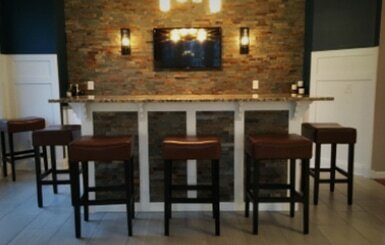 ​Not looking to remodel a whole room, but still want to update or add some style and features to your living space? We can definitely help you! Have a possible project in mind? Curious on how much something might cost? Fill out a Quick Quote or please call us at (440) 937-0885. Whether you're looking for a new deck or screened in porch, Della Vella Remodel can help you with it's expert craftsmanship and attention to detail. SO, WHAT'S THE PROCESS LIKE? No matter if you have project blueprints or just an idea, we will work directly with you step-by-step to ensure we deliver an end result that's exactly what you want. Schedule a time where we can visit the job site and learn more about the project. We'll provide you with a detailed price estimate on work and materials. Once we've agreed on details, we can then set a work schedule till completion. Now the fun starts! Witness the transformation of your home.